What would life be without challenges? Challenges can either make us or break us and quite honestly, without a challenge, we would never grow. When life throws what seems like an insurmountable challenge at you, what do you do? 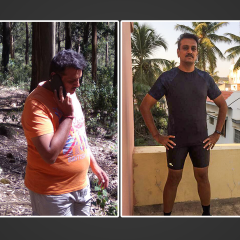 Faced with a similar hurdle, Ravishankar Balasubramanian, 43, from Coimbatore decided to take control of his life, challenged himself and took a huge leap towards a healthier lifestyle. Like most of us, Ravishankar led an active life throughout his school and college days. He used to play Volleyball but as time passed, he fell into a sedentary lifestyle due to work and other commitments. He was at an alarming 118kg. Deep down he knew he couldn’t live like this. After consulting a doctor, he got to know that he had excess bad fats and needed medication to reduce it. This is when Ravishankar told his doctor that he doesn’t want to rely on medication. He challenged the doctor that he would lose weight naturally in 2 months. And so, his journey began! Ravishankar immediately took to walking. He believed that with an obese body, one cannot perform many exercises. 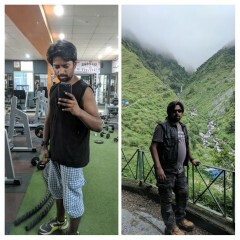 His initial goal became to lose the extra kilos. Through walking alone, he was able to shed 15kg. He knew this wasn’t enough and had to lose more weight. This is when he decided to get some help. 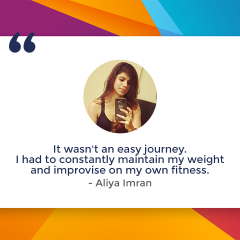 Around October 2018, Ravishankar began looking for a fitness tracker to measure his daily steps and activities. Initially, he was confused between the Mi Band and GOQii. Considering the pros and cons of both, he settled on GOQii because of the personalized live coaching feature. He hasn’t regretted his choice since! After taking stock of his goals, his GOQii Coach suggested that he continue walking and jogging. His GOQii Coach also introduced him to a few exercises he could practice. In addition, she asked him to start with pre and post workout meals. Initially, Ravishankar was unaware of its importance but decided to trust his coach. Now, it is a regular part of his day. His coach guided him on his eating habits. He was strictly asked to avoid junk food and go for good proteins. She explained in detail as to why he should follow these habits. This motivated him to be consistent with them. His sleeping habits improved a lot after inputs from his coach. He started drinking buttermilk with dinner and hot milk before bed. When Ravishankar traveled abroad for work, his coach was sure to follow up regularly by asking him to send pictures of his plate to know what and how much he was eating. She also ensured that he followed the habits she had set for him. His GOQii Coach suggested workouts to improve his running style and to recover from injuries. Now, he runs a minimum of 30km a day. He does this by running 2.5 hours in the morning and at night after work, he goes for a walk, followed by jogging and running. He plans to run a marathon next year and is training vigorously to achieve this goal. Today, Ravishankar Balasubramanian weighs around 80kg and is motivating people around him to do the same! He is an Active Sunday Champion and heads the sessions in Coimbatore. He guides his participants and is a continuous source of inspiration for them. Within two weeks of the challenge starting, Ravishankar had already referred 100 members and increased his daily cap to 36,000 steps. Without losing a beat, he began walking and clocking in 36k steps and more on a daily basis. He is one of the first few individuals to claim the OnePlus 6T as a reward in the India Steps Challenge. 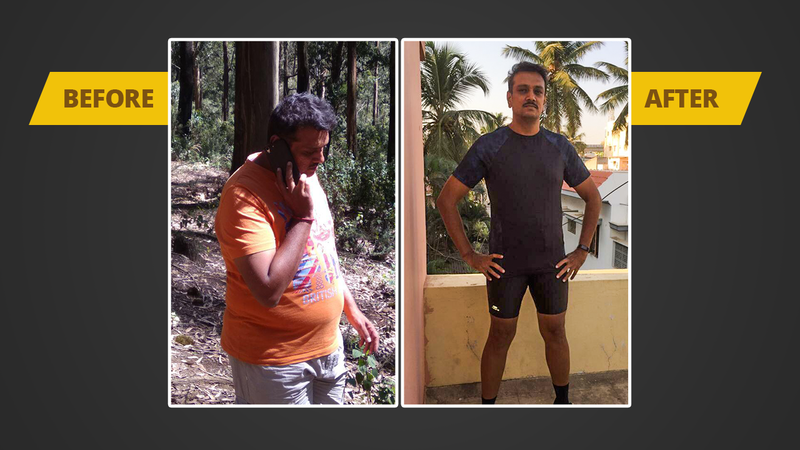 Ravishankar’s journey to weight loss and his determination to dive further into health and fitness is a source of inspiration for us all. From something as simple as walking, he has transformed his life for the better. Now, he has a dedicated team that walks, runs and exercises with him. Through walking alone, he has started a collective movement! He believes that if he can do it, so can you! What Did Ravishankar’s GOQii Coach Have to Say About Him? 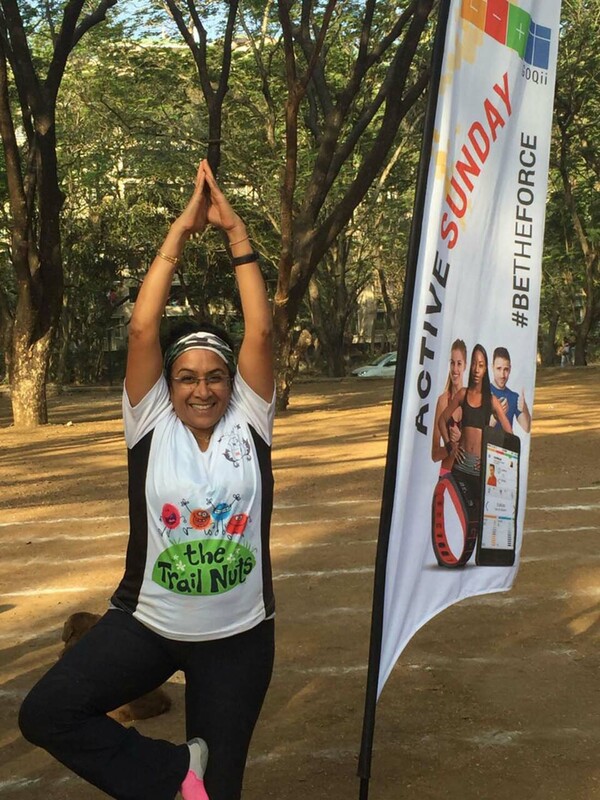 “In his health journey to reduce weight and belly fat, we decided to stick to a routine of structured workout cardio, strength training and lifestyle modification with a focus on balanced food, sound sleep and managing stress in a positive way. When he approached me with the willingness to participate in the India Steps Challenge, I was was very happy to see his excitement and zest towards it. We formulated a pattern where he could train, take part in the challenge and at the same time stay injury and stress free too.